This year’s Travel Trade Workshop in Ireland attracted 340 international tour operators and travel buyers to meet Irish hoteliers and tourism service operators over a two-day period at the National Events Centre. This is the first time the event has been held outside of Dublin and it was hailed as a positive move by many of those who attended. 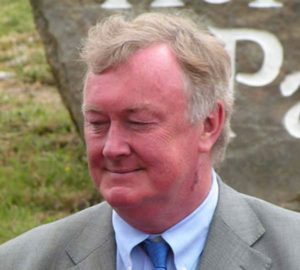 Minister for Arts, Sport and Tourism, John O’Donoghue, opened the event and said that he was pleased with the progress of the newly formed body Tourism Ireland and changeover of Bord Failte to Failte Ireland. “Tourism is crucial to the Irish economy,” he said. “We have been running a very vigorous campaign in the UK and the continent. We had set a target of an increase of 5 per cent and we would have succeeded in reaching it if it were not for the war in Iraq. An aggressive campaign is underway in Germany, Ireland’s third largest market which sends around 300,000 visitors to Ireland every year. Tourism Ireland representatives recently visited nine cities and a number of travel fairs to entice German holidaymakers to come here. Tourism Ireland is also stepping up its marketing drive in the less traditional markets of Italy, France and Spain. Eastern European countries are, according to Minister O’Donoghue, looking to attract more tourists and Ireland will have to compete with them. He welcomed the Irish Restaurant Owners Association initiative to offer lower priced tourist menus as one way to offer better prices. He also said that the industry is “more than capable of responding” to the current strength of the euro against the dollar but he ruled out price controls as a method of dealing with inflation. Mark Bell from lastminute.com agrees. “We’ve really initiated the ‘last minute’ concept and we now have a customer base of 2.6 million in the UK. Seventy per cent of our business is done in a 14-day time frame. There was a time when people in the UK took one or two short breaks per anum; now they take as many as five or six. We’re looking to develop regional holidays in Ireland and we’ve recently acquired Holiday Autos. Jetmagic and Ryanair make access to the regions very easy. For far eastern operators, SARS has been the major blow to travel. Shigenori Fukao of Asahi Sun Tours in Japan brings 11 groups of 20 people to Ireland per anum but has seen a 30 per cent drop in his business since the SARS outbreak. On the other hand, Gopika Khanna of the Geographical Company was the first Indian operator to attend the conference. Wealthy Indians who travel to the UK for a month to visit friends and relatives (classed as VFR travellers) are looking for a week’s holiday beyond the major cities. Ireland, she says, is an add-on destination for these travellers. Dutch operator Suzanne Vendel of Oad Reizen reports and increase of 17 per cent in travel to Ireland this season. “It’s a good product price wise, there is good variety and we have done some good advertising in conjunction with Tourism Ireland, Aer Lingus and Irish Ferries/P&O. Aer Lingus is giving a good price to tour operators and Ireland is seen as a safe destination. Katja Peter of the German wholesaler Alpetour Touristische GmbH is very satisfied with trade to Ireland this year. She sells to more than 1,000 coach tour operators in Germany and had no cancellations during the war, although some operators cancelled tours to London. Prices, she says, work well for the bulk buyer of accommodation and standards in Ireland are high. Delegates reported a determination from both buyers and sellers to put their heads together and make the business better. “There’s a buzz about this workshop,” says Sean Kelly of Crystal Tours & Travel. “Obviously some individual providers will suffer because of the war and SARS but on the whole I think this season is still heading in a positive direction.